It’s that time of year again! Get ready to see costumed fans riding the subway, in line at Tim Hortons and eating at local restaurants as they descend on the downtown core for Toronto ComiCon! Taking place at Metro Toronto Convention Centre from March 17 – 19, Toronto ComiCon is a celebration of fandom and features celebrity autograph and photo sessions, panels, a comic book artist alley and more! 1. The Original Degrassi Cast Reunites! Degrassi fans rejoice! Head to Toronto ComiCon for a very special cast reunion from one of the most beloved television series in history. See original cast members Pat Mastroianni, Stefan Brogren, Dan Woods, Stacie Mistysyn and Kirsten Bourne assemble on stage together and reminisce about the greatest moments of Degrassi! Be among the first to see the new sci-fi series, Deep Six! There will be an exclusive screening of the first episode followed by a Q&A with series stars, Kristian Bruun (Orphan Black, Murdoch Mysteries), Jonathan Whittaker (The Expanse), Katherine Gauthier (Saving Hope) and Mika Collins (co-creator/writer). The panel is joined by series director Davin Lengyel, space & sci-fi historian Rob Godwin and scientific consultant Jaymie Matthews. 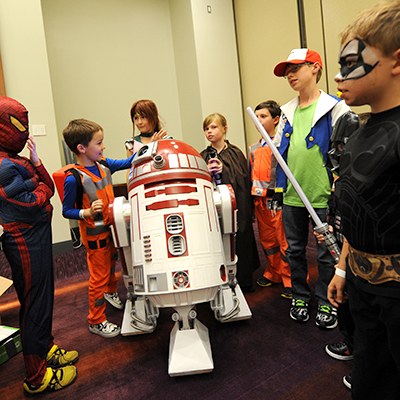 Enjoying ComiCon with your kids in tow? For parents with kids under 12, the Kids Zone is a quiet corner where families can relax and take a break from the crowds. Activities will include face painting, crafts, superhero visits and more! You can view the whole schedule here. What a weekend for wrestling fans! Toronto Comicon welcomes two of the most popular wrestling personalities of all time, Mick Foley and Bret Hart. Both will be signing autographs, posing for photo ops and taking part in Q&A sessions. 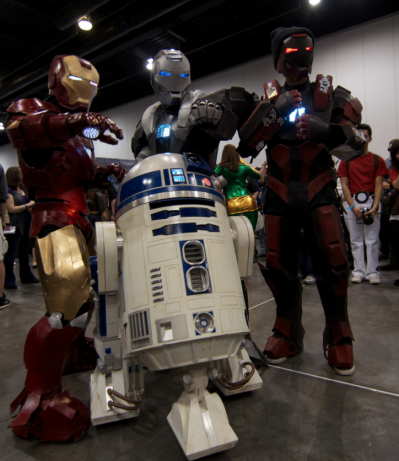 Have you been working on the perfect costume for ComiCon? Want to show off your work? 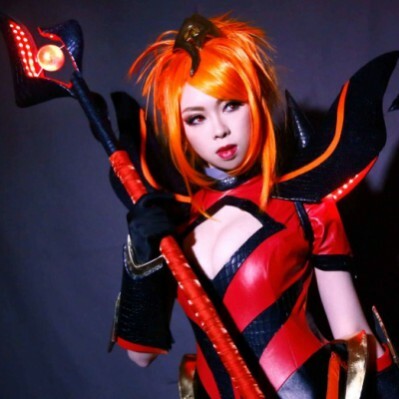 The Cosplay Craftsmanship Contest is a costume contest where cosplayers can show off their crafting skills without having to appear on stage. This contest focuses solely on workmanship, and does not contain any presentation aspect. Cosplayers can sign up for scheduled appointments throughout the weekend where they will have ten minutes with our judges to show off all of their hard work. Click here for more details! Visit TorontoComiCon.com for tickets and more information.